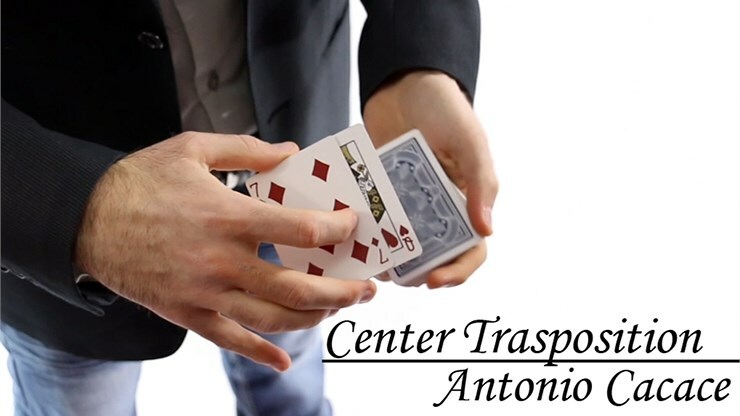 Center Transposition is a video download featuring the creative card work of Antonio Cacace, where you will learn how to make two randomly selected cards visually change places not only once, but twice. The techniques taught use pure sleight of hand with no duplicates. As such, the video is rated as 'intermediate' in difficulty level, meaning you should have a good working ability with a deck of cards. Full 360-degree angle coverage is used we're sure you'll love the effects.